Sightseers and sailors welcome at this affordable 32 bedroom hotel in quiet West End location. Italian Restaurant onsite. Not sure why it’s called the Mermaid Suites, given the relative scarcity of such nautical beasts in the Thames but this pleasant miscellany of rooms in the exclusive Mayfair district is likely to appeal to who have plenty in the way of pretensions but little in the way of pennies when it comes to lodging in this much sought after area of London. The rooms are basic but adequate and there’s a ground-floor restaurant offering a fair range of dishes and were guests can grab breakfast before embarking on a day in the city. Gets get a discount on menus. Minutes away from the Handel Museum, Bond Street Tube Station, Oxford Circus and Grosvenor Square. Standard room facilities include Security Boxes, wireless internet charged and multi-channel televisions. 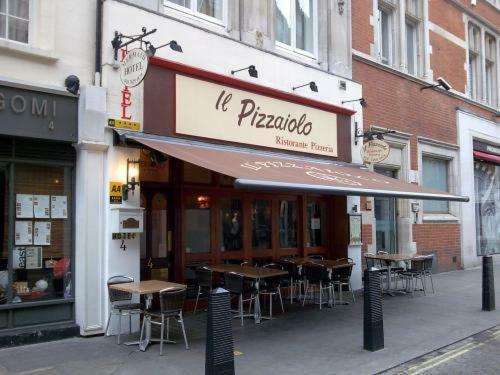 Italian Restaurant with outside dining in Spring and Summer discounts for guests. The hotel is 5 minutes’ walk from both Bond Street and Oxford Circus Underground Stations. London's famous tourist attractions are few minutes' walk away, or a short journey by bus or Tube.